Depression is highly co-morbid with a number of neurodegenerative conditions, including Parkinson’s disease (PD), Alzheimer’s disease (AD), stroke and multiple sclerosis. 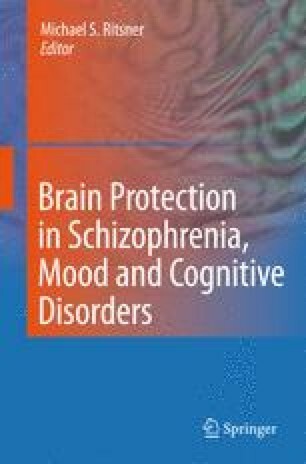 Although psychosocial stress and impairment play a substantial role, accumulating evidence suggests that co-morbid depressive illness may emerge from alterations in processes related to the primary neurodegenerative condition. For instance, depression in PD may occur long before motor disability and in many cases is likely related to early degeneration in brainstem or limbic regions. We posit that pro-inflammatory cytokines and their associated inflammatory signaling pathways (e.g., JAK-STAT, NFκB, and MAP kinases), as well as other immuno-inflammatory factors such as the microglial inducible enzyme, cyclooxygenase-2 (COX-2), may play a primary role in modulating the emergence of co-morbid depression. In this regard, neuroprotective/neurotrophic anti-inflammatory factors may have important antidepressant properties. The present review will cover the evidence concerning the mechanisms through which depression might emerge in PD and other neurodegenerative disorders. Secondly, we will focus on the important cytokines, inflammatory co-factors and intracellular signaling proteins that could be targeted to potentially provide therapeutic benefit for depression as well as the primary neurodegenerative condition.